Financial and Geneva Financial. Became Underwriting Manager in 2017 for Geneva. Have received Underwriter of the Year for 2016 and 2017 with Geneva Financial. Have work for Ryland Homes, Wells Fargo, Chase, Greystone Financial and Network Funding. Hobbies are training horses and horseback riding as well as traveling and football. Participated in the High School Rodeo circuit and elected Rodeo Queen and placed as 3rd Runner up for Miss Helldarado in Las Vegas. Have been married for 24 years to my husband Rick and have 2 grandchildren. I have been in the mortgage industry for a long time and love what I do as an Underwriter! Being able to make a loan work and getting someone approved for a home loan is very satisfying for me. I grew up in the South and when I am not working, I love spending time with my large family. I also love cooking, reading and taking road trips. Forty years in all phases of Mortgage Lending from receptionist to running companies. Love Underwriting the best, making decisions, giving direction to Processors and Loan Officers. Helping make the dream of home ownership come true. Shelly’s residential mortgage career began in 1999 as a Loan Assistant and progressed to Senior Processor, Closer, Shipper, Closing Team Lead and DE Underwriter. This broad experience has helped to shape and grow her mortgage operations knowledge in customer service, Conventional, FHA, VA, HFA and Construction Perm loan programs. She loves helping others and is a board member of Trinity New Hope, LLC, an affordable housing project in Idaho. She enjoys spending time with her personal hero, USAF career veteran husband of over 30 years, 2 Sons, 2 Daughter-in-laws, and 4 beautiful Grand Children. Shelly loves the outdoors, trains and raises Quarter Horses, competes in equestrian drill team and dog agility with her crazy Boxer, Kaz. Have Been in the Mortgage Industry for over 34 years. Was born In Yuma Arizona and at 21 years old Moved to Southern California. Lived in Orange County for 12 years and San Diego for 16 years, moved to Chandler, Az in 2005. Started in this business as a Bank Teller and worked my way up to Running A Home Improvement Division within 5 years. For a Major Savings and was promoted to Assist Vice-president of that Division, for 10 years. I have also been Underwriting Manager for 2 major Mortgage bankers. In my off time I enjoy spending Time with my 2 dogs and working in my garden and watching Old Movies. Debbie Ferugia is a Senior FHA Endorsed Underwriter, with over 25 years in the mortgage industry. Debbie stated her career in mortgage processing for a major savings and loan when fist moving to South Florida from New York. Over the years she quickly was promoted to Underwriting and received her Direct Endorsement when the program was first offered to mortgage lenders. Throughout her career she has Managed Mortgage Operations, which included processing, underwriting, closing and post- closing. In 1998 she formed her own consulting company and worked in a consulting bases when not underwriting full time. Consulting positions included post- closing reviews for the Department of Housing and Urban Development She also assisted lenders in acquiring their FHA, FNMA and Freddie Lending Approvals with the agencies. When not working Debbie enjoys traveling the world, along with a love for cooking. I started in the mortgage industry in 1983. By 1991 I became the processing supervisor of the Government Lending Division for Chase Federal Bank and have been underwriting since 1996 when I received my DE. In addition to conventional and VA loans, I have extensive experience with FHA as having helped three different companies become FHA Approved Lenders, the most recent of which was All In One Mortgage Lenders. 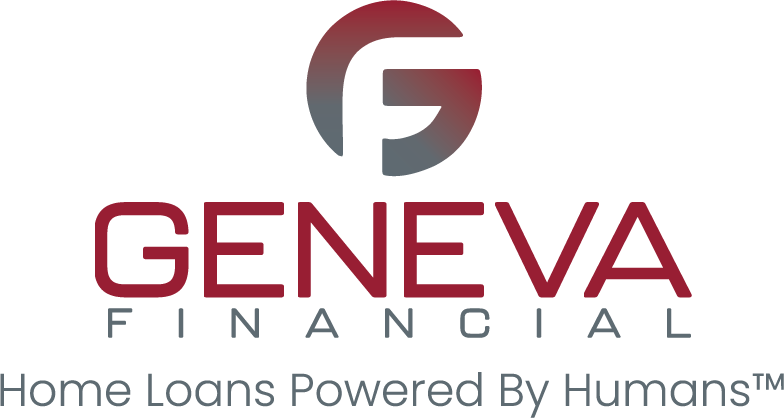 I have worked with All In One Mortgage Lenders since 2008 and am now thrilled we are part of the Geneva Financial team. Originally from New York City, I moved to Miami, Florida as a child and have lived here ever since. My passion for helping the needy in my community has led me to become a board member of the Msgr. Bryan O Walsh Columbiettes through which we serve several organizations including the South Dade Pregnancy Center, the Miami Rescue Mission and Dr. Moises Simper’s Ventilation Assisted Children’s Center. I enjoy my down time by reading, traveling and spending time with my husband and five children.